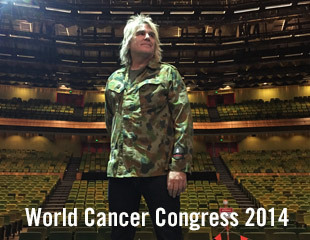 Last night at the World Cancer Congress 2014 in Melbourne, Australia, Mike Peters co-founder of the Love Hope Strength cancer charity established himself as the world’s most inspirational cancer survivor. He tirelessly looks for ways to help others that are in the battle with cancer while he still wages his own fight. 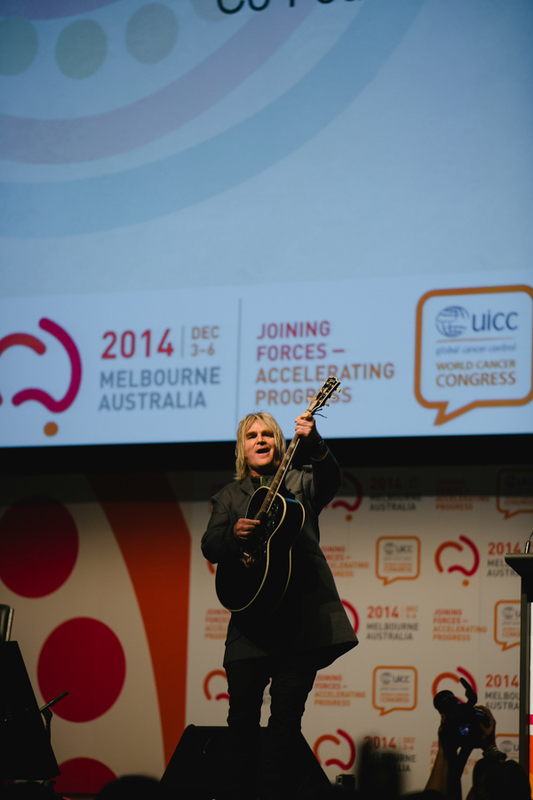 Organisers UICC posted on their Twitter account “amazing speech and performance by Mike Peters”. 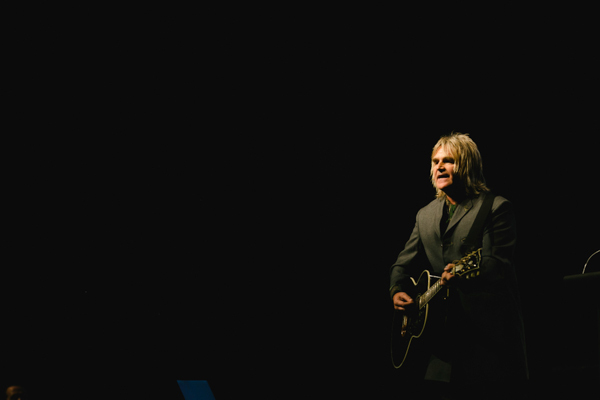 “Leukemia survivor, longtime rocker, Mike Peters, brings message of Love Hope Strength. In chemo 2 weeks ago.” Pamela Fralek. President and CEO Canadian Cancer Society. 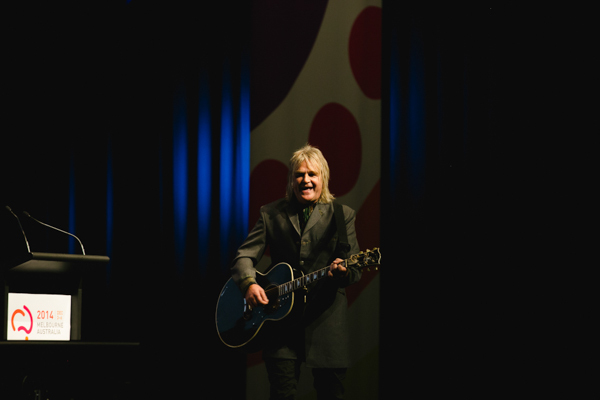 “Mike Peters is powerfully and passionately fighting against cancer.” Megan Varlow. Cancer New South Wales. 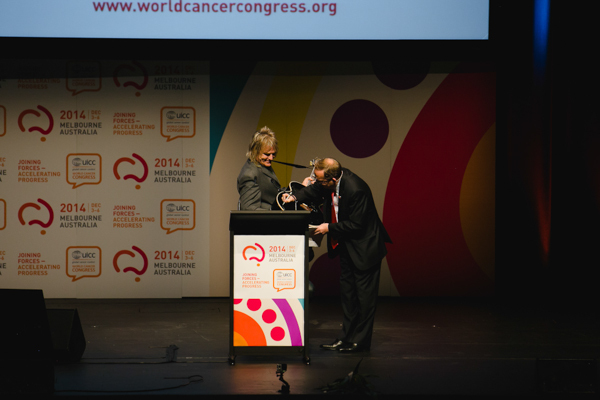 “Rock star Mike Peters – everyone, everywhere deserves access to quality cancer care.” Dato’ Zuraidah Atan. National Cancer Society of Malaysia. 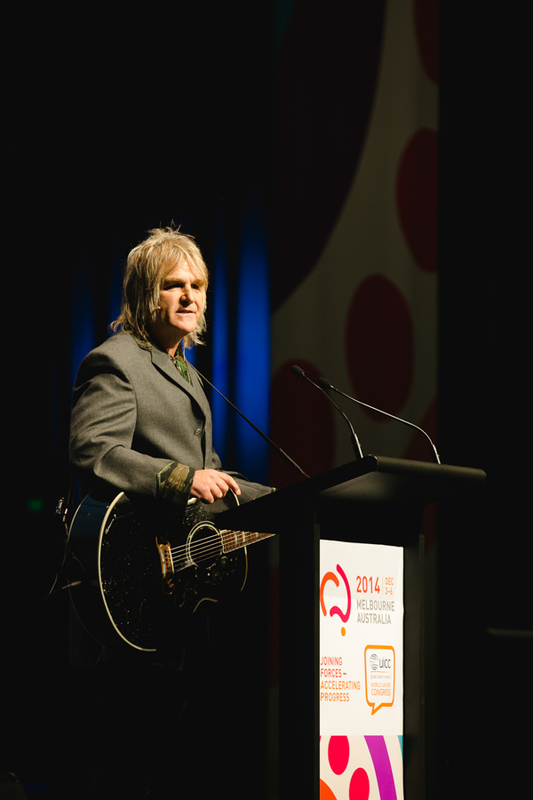 “Mike Peters of Love Hope Strength, inspiring, reminding us why we are here.” Advocate. Wendy Watson. 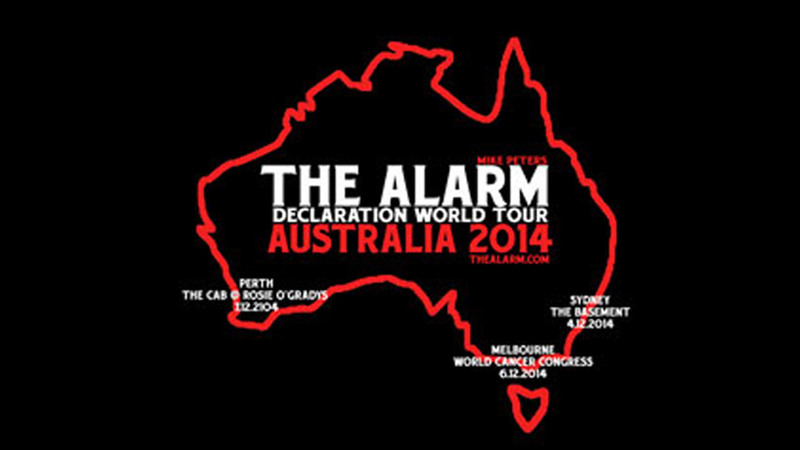 “Rock star end to the Cancer Congress opening ceremony with Mike Peters from The Alarm”. Fiona McDonald. Research Psychologist. 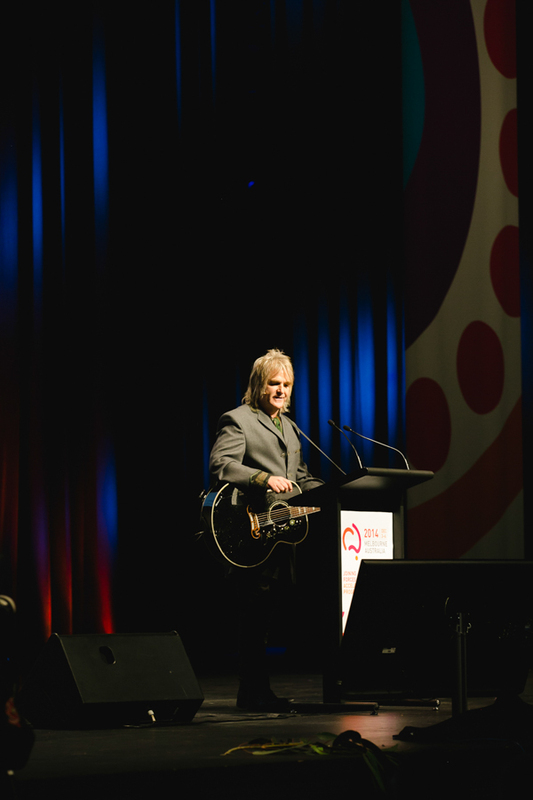 Mike Peters will host Inspring Lives / Inspiring Music the finale event of World Cancer Congress 2014 this Saturday December 6th at the Melbourne Conference and Exhibition Centre with special guests Glen Tilbrook and Melbourne’s very own Firebird Trio. 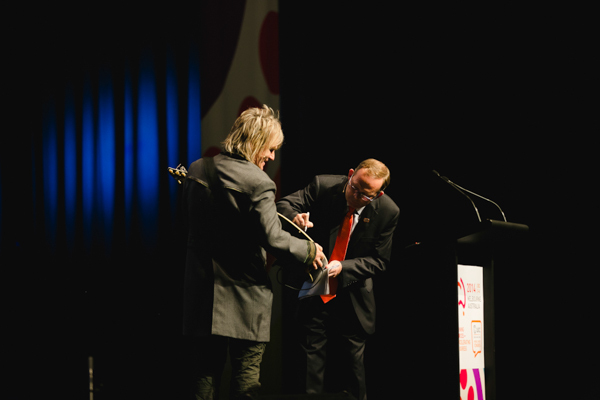 Mike Peters invites UICC President Cary Adams to sign his guitar. 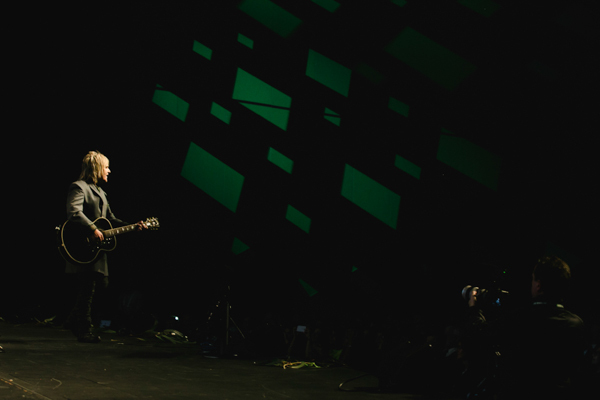 All I’ve got is One Guitar!